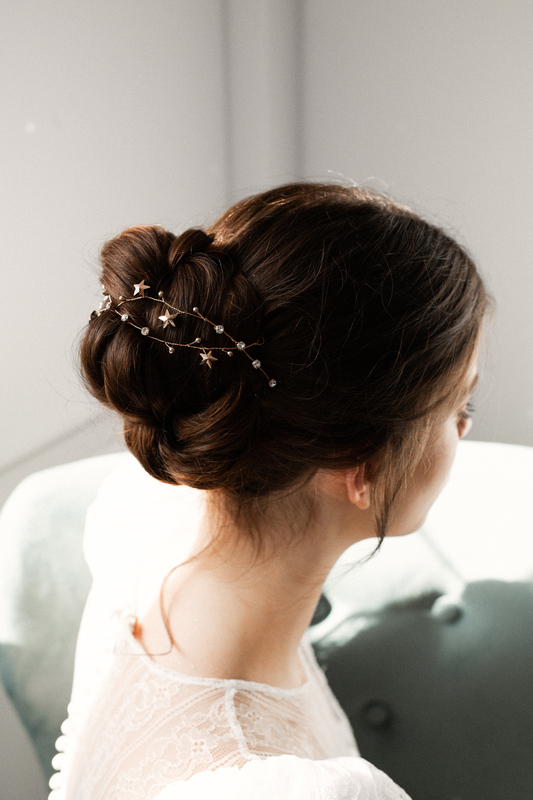 Delicate headpiece created from Swarovski crustals,pearls and the limited edition rosegold Stars. It is flexible and can be styled in various ways. 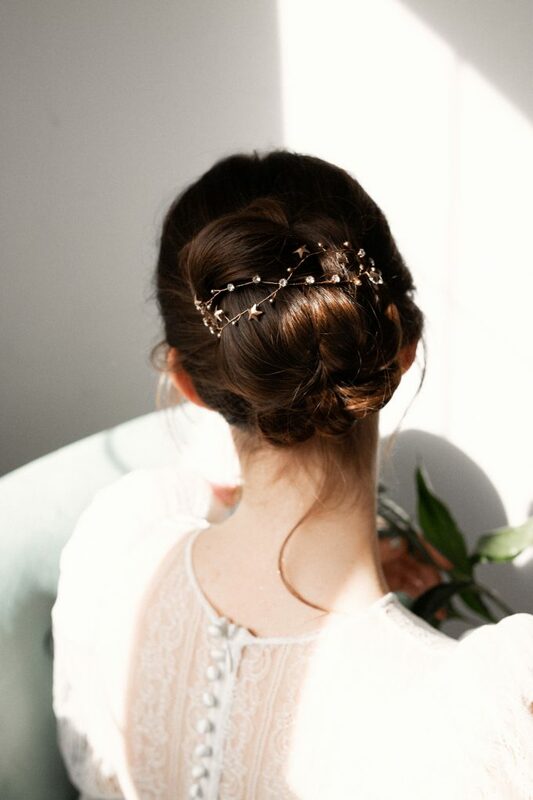 Dare to wear this piece and it will bring shimmer to your hair and appearance.